It’s been a bit since we’ve shared a post here on Picklee (sometimes life just gets in the way of things! 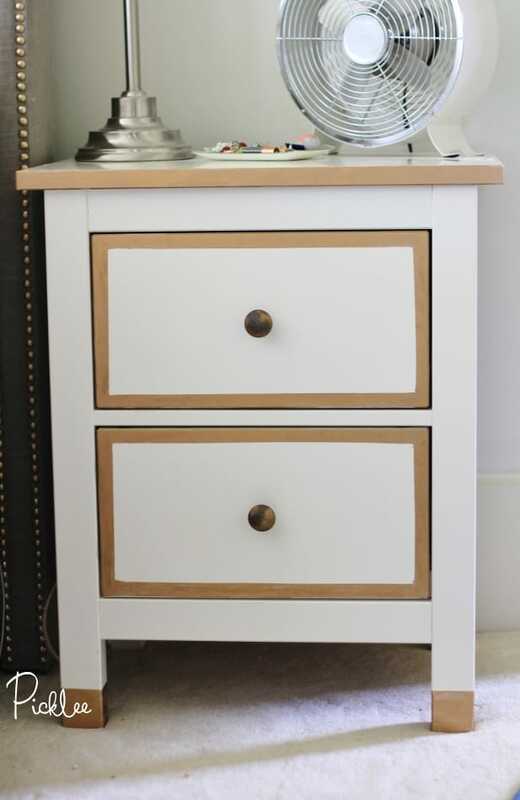 ), but we are back today with a fabulous “Ikea Hack” transformation! Though they have some great pieces, I don’t usually buy much in the way from furniture from Ikea, mostly because everything I have is antique or vintage. However, about a year ago I found myself in desperate need of two matching nightstands (I don’t mind if they don’t match but Brett was a sticker for a matching set). 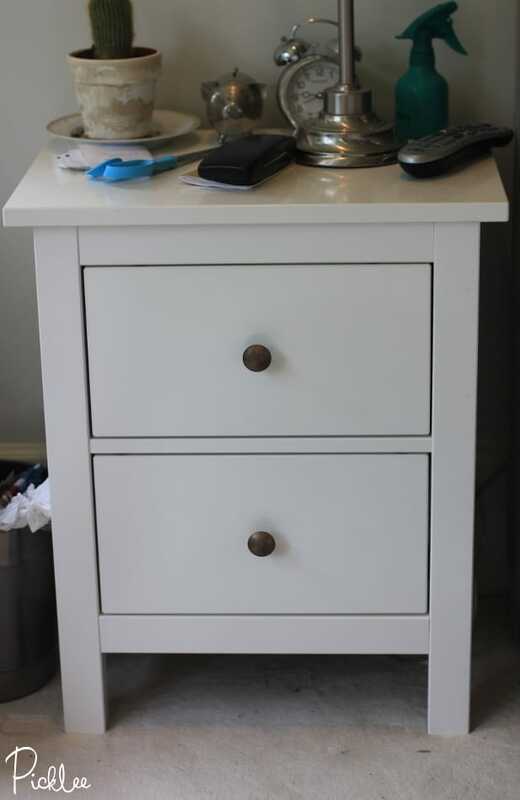 So we picked up an inexpensive pair of Ikea Hemnes nightstands. Of course I can never leave anything as is, so I decided to make the set pop with a little gold gilding! Decide where you’d like to accent your piece with gold. I added gold to the edge, feet and around my drawers to give my nightstands somewhat of a campaign style. 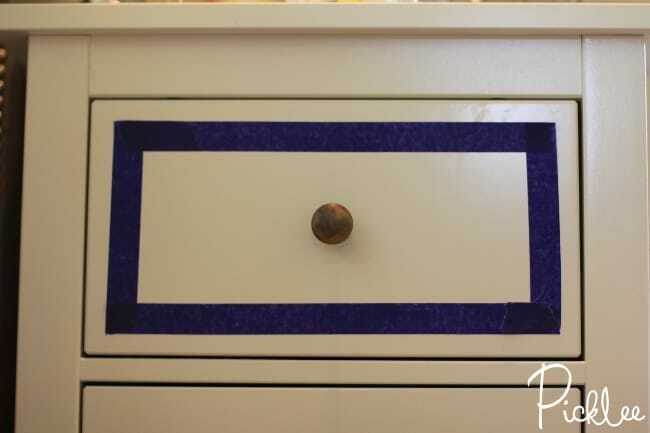 Use 1″ painters tape to mark off the area you’ll be adding gold to. I chose to wax the edge of the nightstand, to make a 1/2″ wide box around the outside of my drawers, and then a 2″ section of gold to the feet. 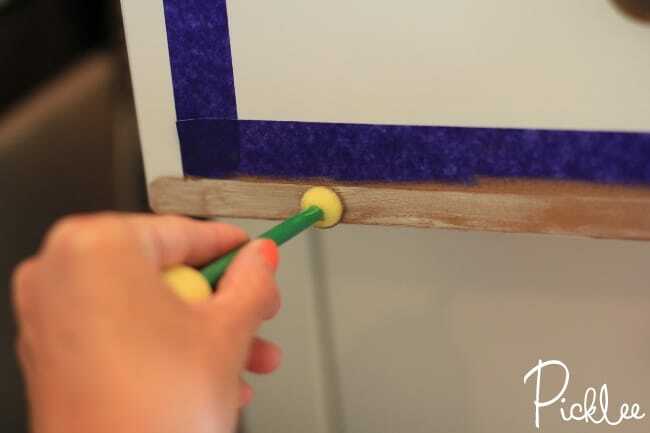 Use the foam dabbing tool to apply the Rub’ n Buff to your piece. I found that my surface required two coats of wax for full coverage. Since the wax dries so quickly, I was able to apply the second coat within 10 minutes. 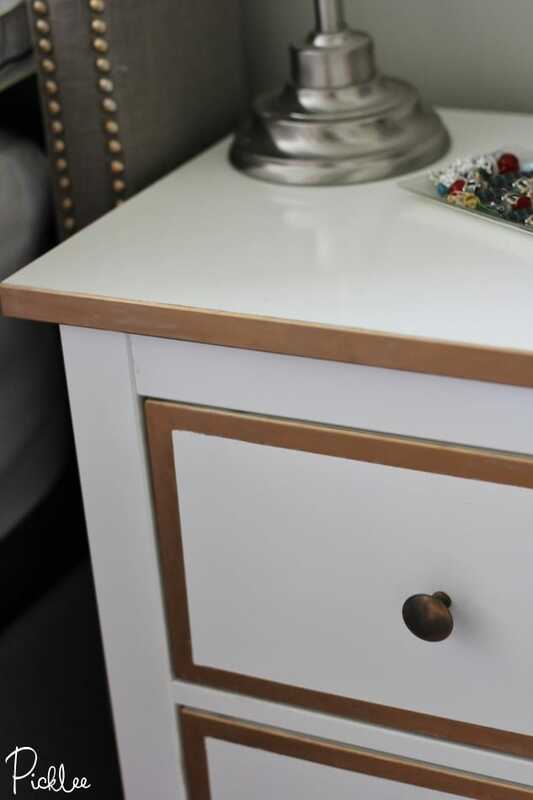 The gold gilding definitely adds a level of sophistication & character to these otherwise basic & simple pieces! Looking for even more inspiration? Find more furniture flips here! What a great transformation – love the gold! !